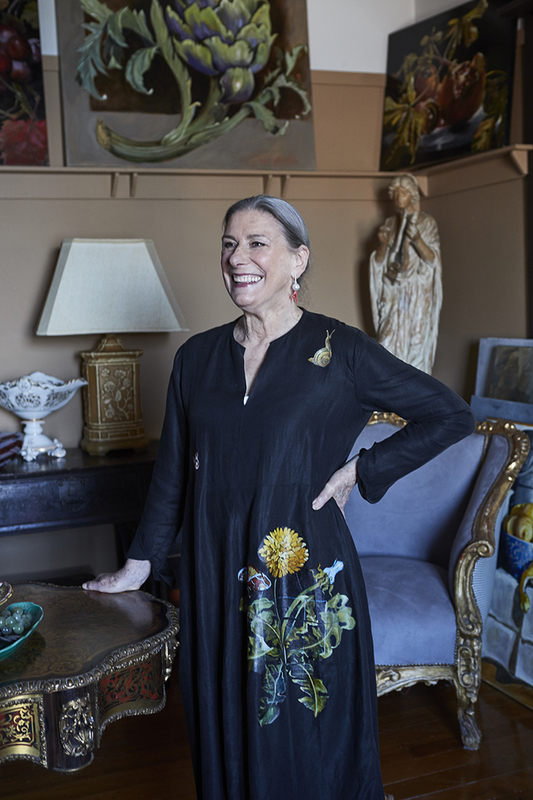 As an artist, Diana’s journey is one of boundless inspiration – a life-long passion for painting made way for a successful professional career later in life when her children had grown. 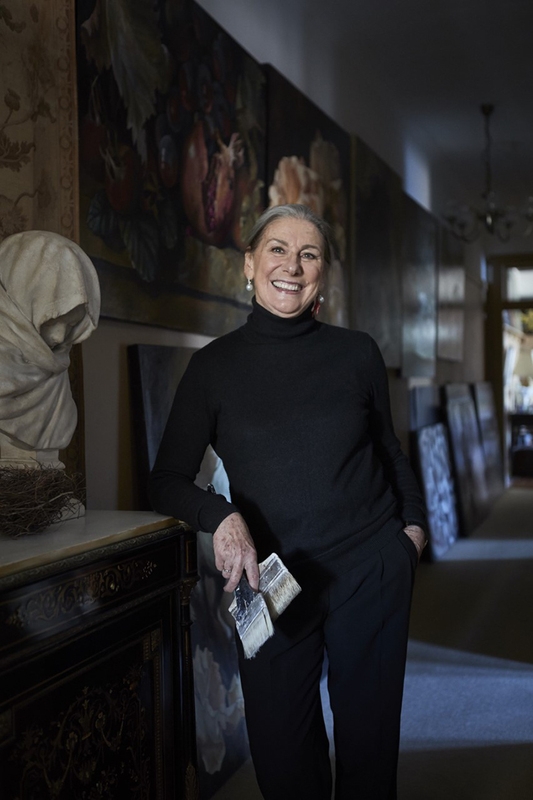 From her home studio in Sydney’s Kirribilli, Diana produces art that has garnered attention and admiration from all over the world. 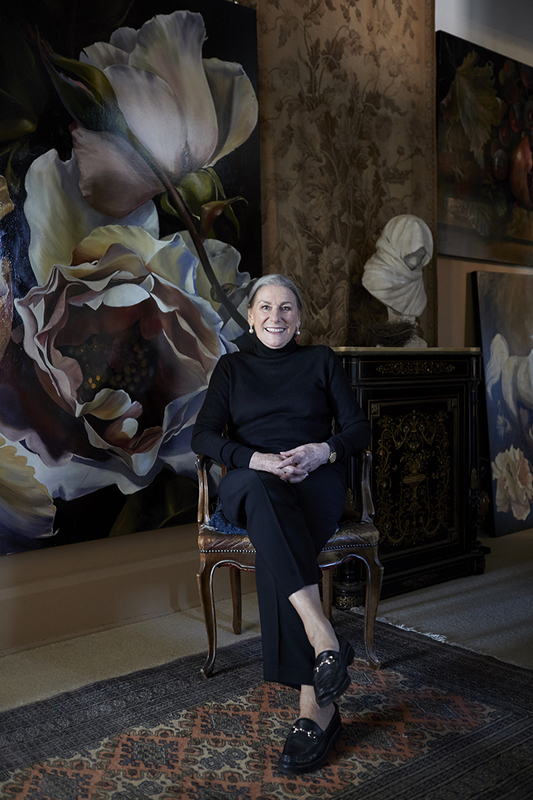 Diana’s detailed and generous botanical still-life murals are not only exhibited to great acclaim but adorn the walls of residential and commercial spaces globally. Even catching the attention of Hollywood – on the set of film Collateral Beauty and across the pond, in Rick Stein’s restaurant (and menus) in Wiltshire, England. 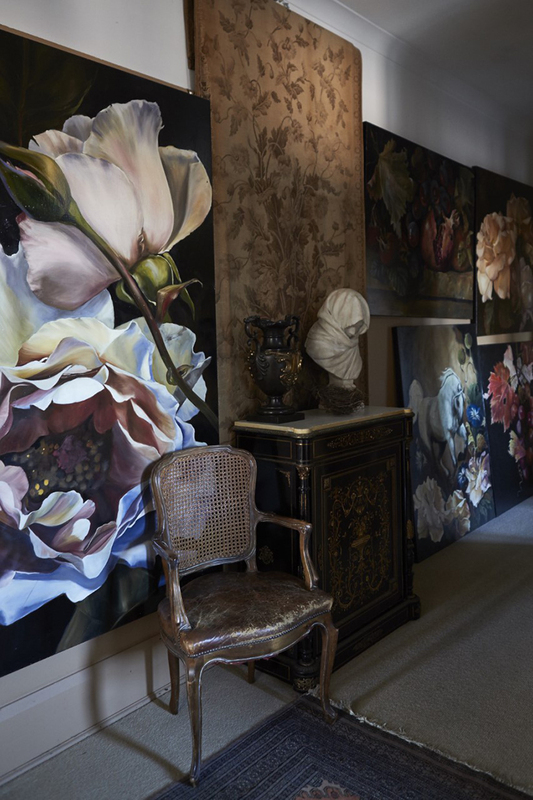 As well as her signature roses, Diana also creates still-lifes of flowers, fruit, and fabric; and her works are now available as paintings, wall murals, and wallpapers. 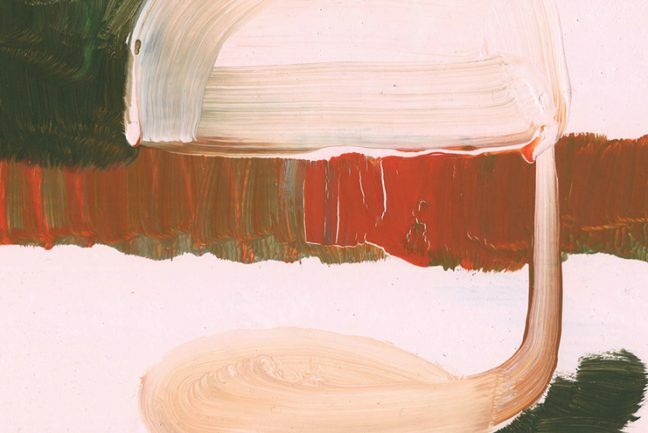 A collection of ten oil paintings, in Diana’s latest exhibition, Ambrosia with Otomys in Melbourne (From 4th of May), displays the tactile and layered intensity for which Watson has earned international renown. 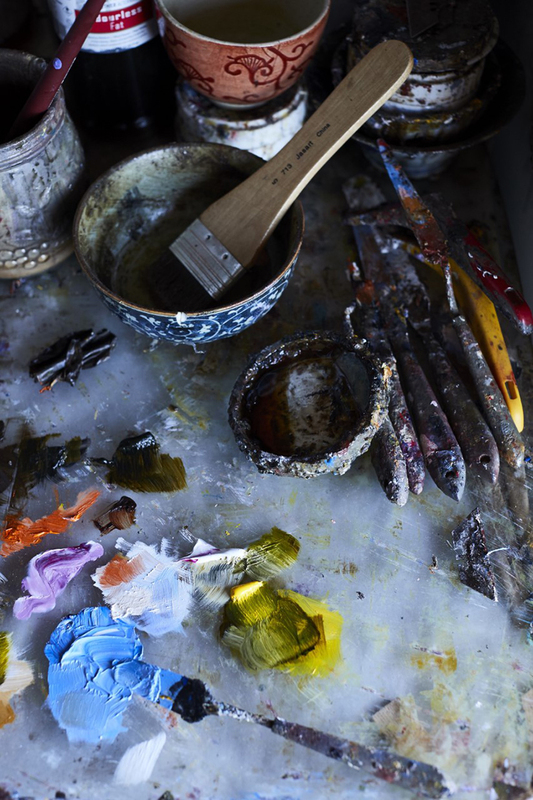 You started painting professionally twenty years ago, but were you always inspired by art and painting for pleasure? Yes, art and the act of painting have always been an inspiration to me. 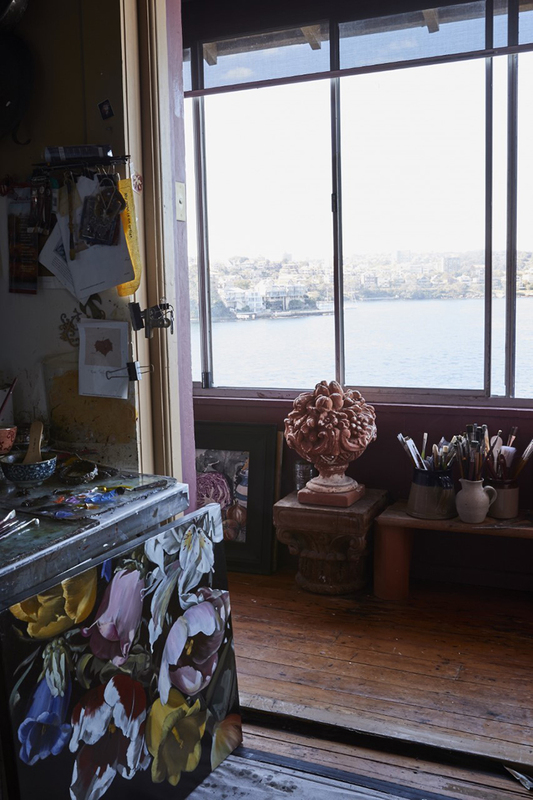 I studied art when I left school on the advice of my teacher, the prominent WA artist Robert Juniper. This lead to my early career as a fashion artist in an advertising agency, followed by my role as a concept artist for an interior designer. I put my career on hold to be a full-time mother to my three lovely daughters. When my children had grown up I finally had the chance to follow my dream of pursuing a career as a professional artist. I was fortunate to have enough interest to warrant exhibiting my paintings and to make a successful career from my passion. 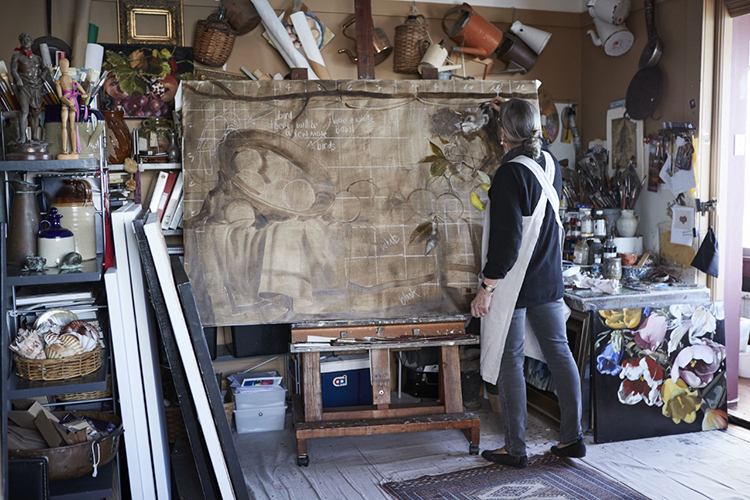 What prompted you to start painting professionally? What was the impetus? Perhaps you could call it ‘the empty nest syndrome’?! To be honest, everything inspires me to make art. It is a complete way of life, never far from my thoughts. Seeing beauty all around me, colours, shapes, shadows, nature and the challenge of putting it on canvas. Seeing beauty all around me, colours, shapes, shadows, nature and the challenge of putting it on canvas. You use oil for your painting, also print on fabric and large scale murals. Please tell us a bit more about the painting process and technique? Yes, I use oils and paint on specially prepared linen. The murals are produced digitally, to order and to fit the area specified. This is done by a company Back To The Wall and Be Hang Fabriek in The Netherlands. A similar digital method is used for printing my designs on fabric. Years ago I produced a range of quilted hand painted jackets for which I did all of the one-off painting as well as the sewing. In the late seventies/80s when trompe léuil was fashionable I completed commissions, hand painting designs on walls and furniture. Floral representation features strongly in your work. How do flowers or nature inspire your art? 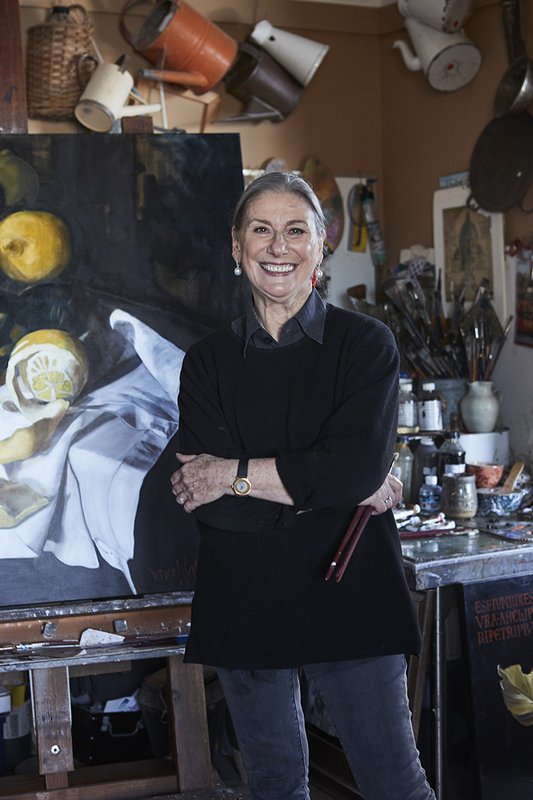 When I originally started painting [after the children] it was simply the things around me that I was drawn to. This is the very essence of “still life” the bowl of apples on the kitchen table…..the vase of flowers….. It all grew from there. Who would not be inspired by nature? There is never a line out of place in nature. Every bloom, every colour is perfection, even in decay. Otomys was first attracted to my fabric paintings which I was delighted about. Then I had the request to include some floral work. My conclusion at that time was to link them with colour, encouraging the viewer to compare the line, movement and rhythm of the two subjects. I found that hanging them in pairs created a thought provoking exercise. I am very excited about exhibiting in Melbourne with a gallery as innovative as Otomys. How did the collaboration with Hollywood film Collateral Beauty come about? Simply an email completely out of the blue from WARNER BROS ………….it was a very exciting day! I had licensed some of my images previously but this was on a whole new scale. Their design people had found some of my wallpapers on Pinterest. I was just learning how to use Photoshop and had placed some of my paintings, enlarged, into room settings and ‘voila’. Your works feature on the walls and menus of Rick Stein’s latest UK restaurant, can you please tell us more about this? 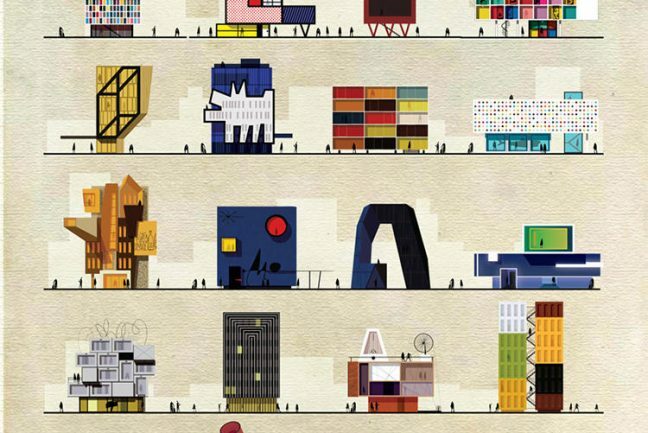 Do you have a favourite exhibition, collection or piece of art from past or present? What does a typical day in Sydney entail for you? I have always liked to have my studio at home. Rarely a day goes by when I do not pick up a paintbrush so it does not feel like work. I have no trouble with motivation but, on the other hand, if a distraction comes along I can justify enjoying it. Kirribilli offers some wonderful city walks and the coffee shop is just downstairs at the Ferry Wharf. Where do you draw your everyday inspiration? Everyday inspiration is just that…It does not matter what I am doing, subconsciously I will be observing. That is why I cannot, ever, watch a TV show twice. If I am talking to someone, I will be noting how the shadows fall around them, colour combinations and the sunlight on a tree. 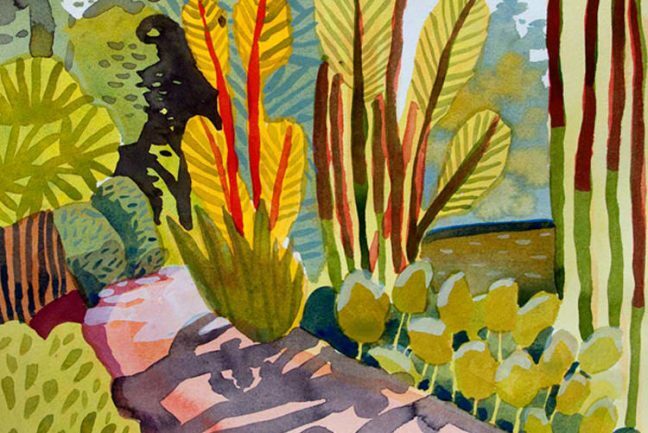 Did your own upbringing inspire your love of nature and expression through art? Yes it certainly did. I lived on a horse stud surrounded by garden and orchards. My parents were collectors who always encouraged me to be creative. My Mother allowed me to paint a very large blue horse on the kitchen wall and a frieze of flowers on the lintel above the wood stove. I was only nine or ten years old. At the moment I am loving Wabi Sabi. But I admit my taste swings violently between minimalism and the baroque. In a word, Italy, but if my day began with getting on a plane, it would be perfect. And what advice would you give someone wanting to follow their passion professionally? Anyone who has a passion is fortunate……….if you can find it………….follow it. 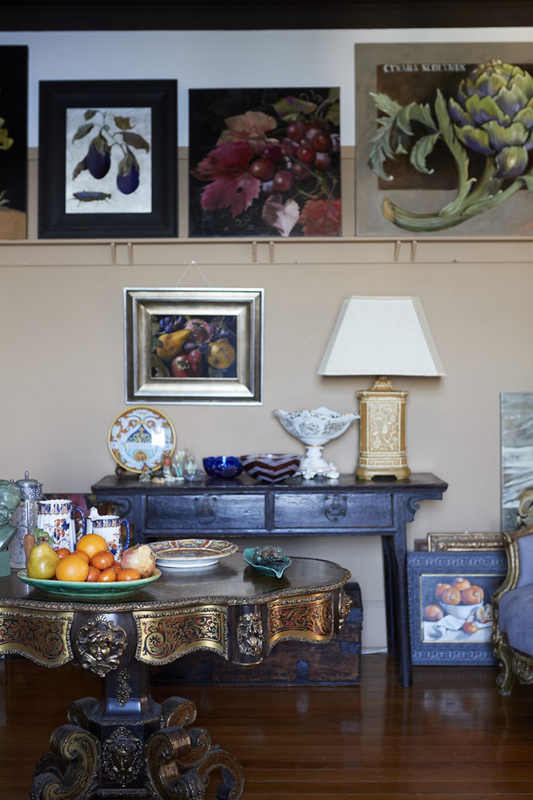 Coveting: a palazzo on the Grand Canal in Venice. Available to purchase from the Otomys online gallery – www.otomys.com. The gallery is open by appointment Thursday and Friday between 10am – 5pm and on Saturdays between 10am – 2pm.